results of modern studies of earth and planetary materials in their most sophisticated aspects. Encyclopedic in its coverage of subjects, they include the systematic description of all areas of mineral matter studies corresponding to the actual capabilities and needs of science and industry. The first volume contains chapters on Crystal Structures, Point Defects, Natural Glasses, and Systematics of Chemical Bonding. 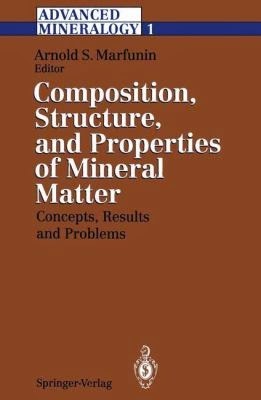 It is an invaluable reference for all scientists in academia and industry interested in properties of minerals in geophysics, technological mineralogy, and material sciences.